Published: Dec. 9, 2018 at 06:37 p.m. 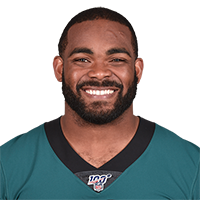 Published: Feb. 4, 2018 at 11:24 p.m.
Philadelphia Eagles defensive end Brandon Graham strip-sacks New England Patriots quarterback Tom Brady. Published: Feb. 4, 2018 at 07:34 p.m. The Philadelphia Eagles' defense forces gets to New England Patriots quarterback Tom Brady to force a fourth-down incompletion.